For fifty years, economists have been developing elegant theories or how markets facilitate innovation, create wealth, and allocate society’s resources efficiently. But what about when they fail, when they lead us to stock market bubbles, glaring inequality, polluted rivers, and credit crunches? 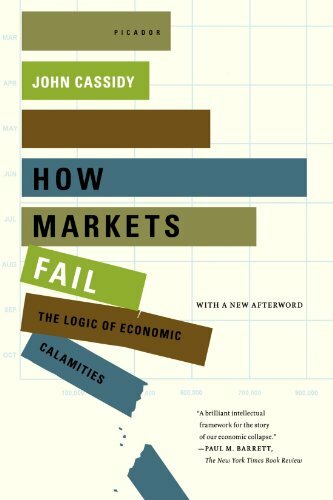 In How Markets Fail, John Cassidy describes the rising influence of “utopian economies”―the thinking that is blind to how real people act and that denies the many ways an unregulated free market can bring on disaster. Combining on-the-ground reporting and clear explanations of economic theories Cassidy warns that in today’s economic crisis, following old orthodoxies isn’t just misguided―it’s downright dangerous.